Outdoor Cushion replacements - Great ideas for enjoying your patio space. It's patio season! Enjoy your outdoors with new outdoor cushion replacements . 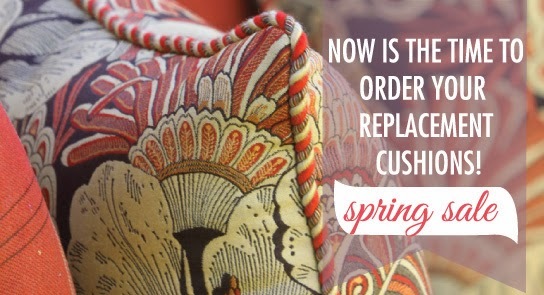 Now is a great time to order cushion replacements. We have replacements for OW Lee, Winston, Tropitone, Patio Renaissance, Darlee, Hanimant and many more.. Cushion replacements can take 4 to 6 weeks so order early to insure delivery for your outdoor season.